I've been looking into our various tooling needs for budgeting season. 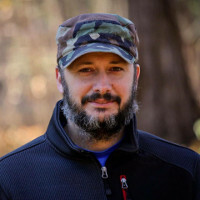 We are introducing a new tech stack this year and have needs for a variety of new software tools. As I was researching and reaching out to various companies, there was one piece of functionality that was really appreciated: the humble Chatbox. Admittedly, I'd never really thought much about their usefulness. But when it came time to engage with a company, I found myself a bit teary-eyed when it was nowhere to be found. Who wants to enter a bunch of data on a form, or make a phone call, when all you have to do is chat? There are at least two benefits to adding a Chatbox to your website. The first I can think of is that lead generation should climb if utilized properly. Think about it. Do you want to fill out a 15 question form, then wait hours or even days to get a response? One of the guys I was chatting with asked me for my email address, "just-in-case we get disconnected." I thought to myself, "this is a lead generator", and boy was I right! Within an hour I received an email from the company. And the next day, I got another. A second benefit, assuming great customer service, is that the response times are within a few minutes instead of hours. You can't get that by filling out a form and submitting it to never-never-land. Faster customer service is better for everyone. 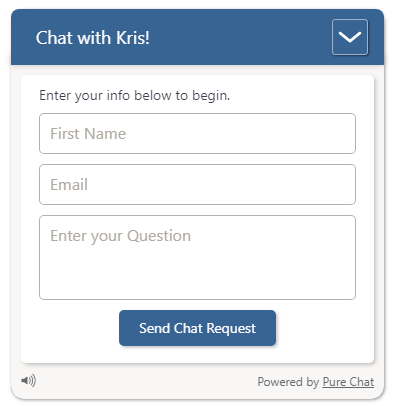 After signing up (check out Pure Chat), log in to their website and configure your chatbot. When finished, they'll provide you with some code to embed it. Send this to your webmaster, or install the plugin, etc. There are two ways to chat with visitors: via a web browser, or via an app on your smartphone or tablet. As soon as a visitor initiates a chat from your website, you'll get a notification on your device, or browser, and can then have a conversation. Once the conversation is complete, it'll optionally email both parties the entire conversation. If you end up getting a Chatbox or already have one, tell us about your experience in the comments below. Can you think of any other benefits?